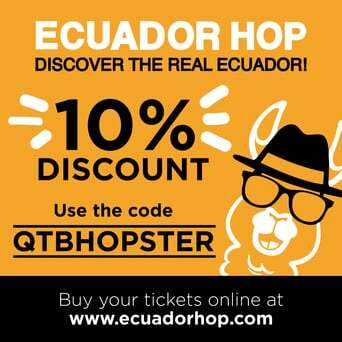 If you want to taste the typical cuisine of Ecuador, Quito has a wide variety of bars and restaurants. However, it is also very common to find the traditional “huecas” or “agachaditos”. “Huecas” are places where traditional and delicious food is offered at really convenient prices. The gastronomy of the territories tells us a lot about its culture and history. For this reason, to explore the traditional flavors and the delicious dishes that are eaten in the territories that we are going through our trips allows us to understand more about the customs and ways of life of those who live there. The Ecuadorian culinary tradition is in the hands of those who prepare and sell traditional dishes, desserts, and drinks. We invite you to know all the flavors that this country offers, so we recommend you to visit the typical “huecas” of the Historic Center where you will have an incomparable gastronomic experience. During your visit to the city you can not miss the delicious “canelazo”, a typical and hot drink made with “naranjilla” pulp. You can also add “puntas” to it which is a distilled cane drink with grades of alcohol. Quito Tour Bus offers the Quito at Night tour, an easy and safe way to reach the famous and popular “La Ronda” Street. It is in this traditional street where you can enjoy several delicious typical dishes, which can be accompanied by the canelazo. 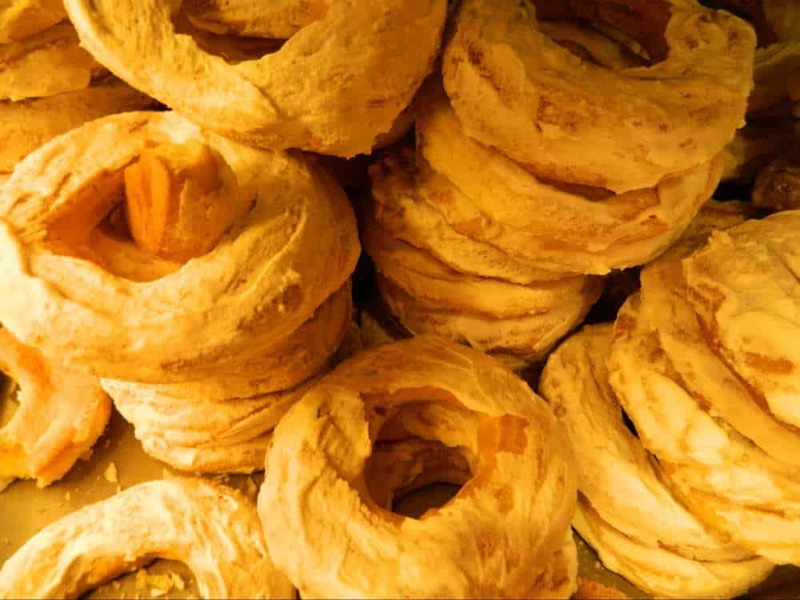 Behind the Presidency of the Republic, located in Benalcázar and Eugenio Espejo Streets, you will find the famous and traditional “guatitas de la Colmena”. The specialty there is the “guatita” which is a dish elaborate of the belly of the cow that contains peanuts sauce, among other spices, and is accompanied by “chola” potatoes. This business exists over 57 years and it has the particularity of serving the guatita with avocado and bread. With more than 70 years of existence, “los motes de San Juan” is a well-known place located in San Juan Alto on the corner of Nicaragua and José Riofrío Streets. This place is visited by local people and all the lovers of the “mote” (an andean grain) which is traditionally prepared in firewood, and can be accompanied by corn, avocado and pork pieces. It is also very delicious when you eat it with the tradicional chili. Between Esmeraldas Street and Pichincha Avenue, inside the Central Market of the city, it is located a place called “Las corvinas de Gloria”. In this business of more than 50 years you can enjoy a dish of corvina, a delicios fish that is served with shrimp and shell ceviches, plus rice and french fries. There are some who say that these are the best corvinas in the city! This place is located in the center of Quito, on Pichincha Avenue in “La Marín” area. This business has existed since 1910 and they keep the original recipe used for the preparation of the traditional morocho (an andean grain). The recipe has passed from generation to generation. “Morocho” is a hot and thick drink that is usually accompanied by a flour pie. This business is located in the old town of the city, specifically in the “Plaza Grande”. The famous sandwiches are being sold for more than 25 years. You can enjoy a delicious sandwich that can have different sausages and it is accompanied by dressings and a delicious chili. We have to recommend you to eat something sweet! For this reason, we suggest you visit the collations (colaciones) of the Green Cross, located on Simón Bolívar Street. In this small shop you can buy a variety of traditional sweets, such as “aplanchados”, “sighs”, caramels and almonds, but you can also find the delicious and well-known sweets called “collations” that are prepared by hand. After trying the first one, you will not be able to stop! Among this selection we could mention many more “huecas” around the Historic Center. However, we give you these recommendations with the desire that if you have not yet visited these places you decide to go and try the delicious and traditional flavors of Ecuadorian cuisine! We are sure that you will not regret!